I don’t consider myself an expert on the First World War, but I have always had an interest in the human side of that horrific conflagration. 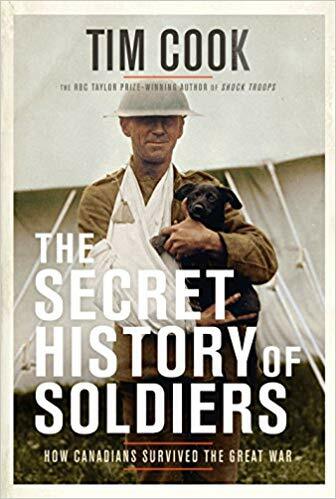 Books exploring the soldiers’ experiences in the trenches, behind the lines, and back home fuel my fascination with the incredible sacrifices made by those men (and a few women) in a war, and at a time, that is quickly fading from our collective consciousness. Some of the very best books I have read in that genre include William Faulks’ Birdsong, Three Day Road by Joseph Boyden, and Pat Barker’s Regeneration Trilogy. There are many others but those come first to mind. And now I can add to that list The Secret History of Soldiers by Tim Cook.